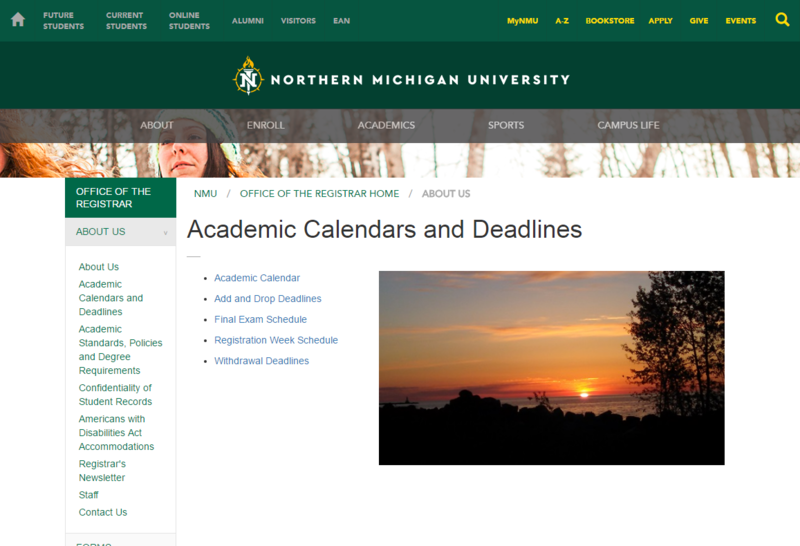 Academic Calendar lists key academic calendar items, including drop-add dates, breaks, and payment due dates for the next several semesters. 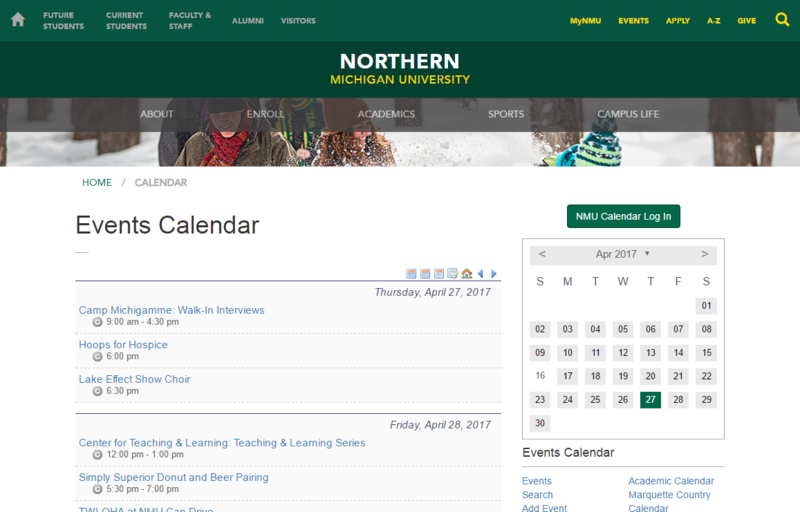 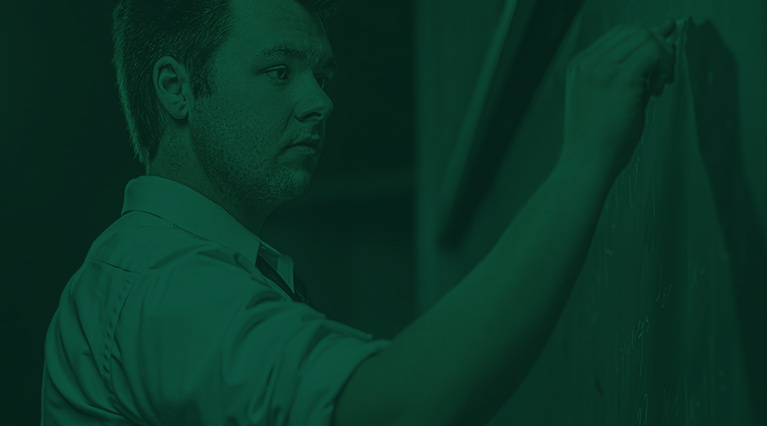 NMU Master Calendar includes all academic calendar dates, university events, cultural events, sporting events, etc. 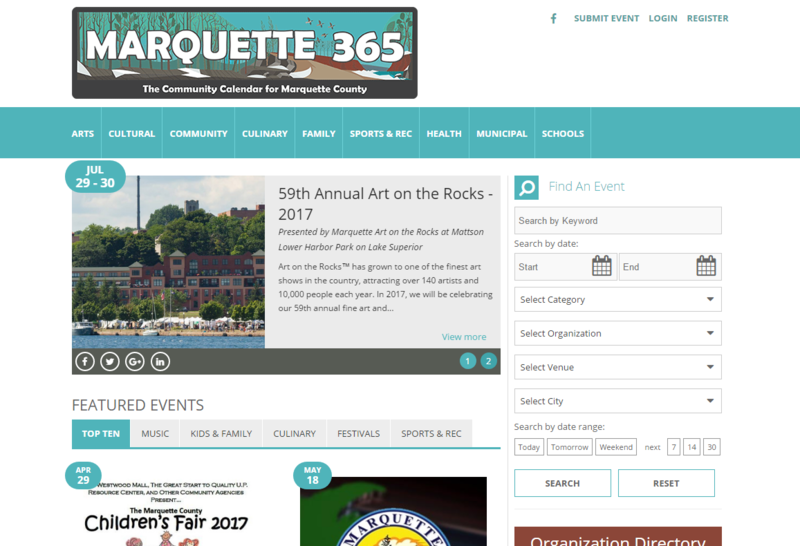 Marquette365.com | The Community Calendar for Marquette County. 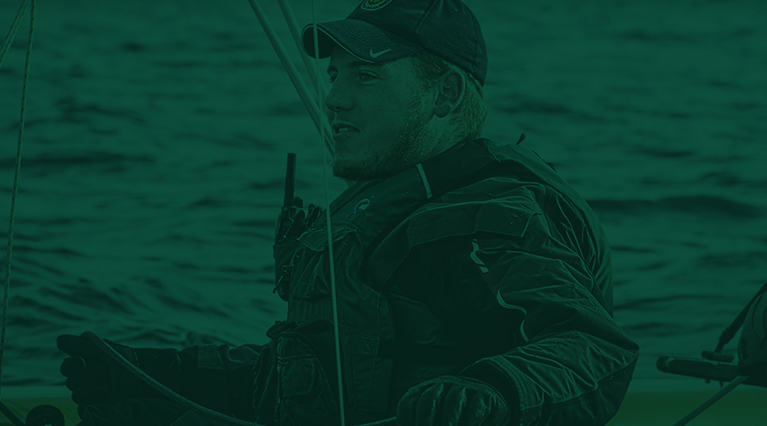 Powered by the Marquette Chamber of Commerce.